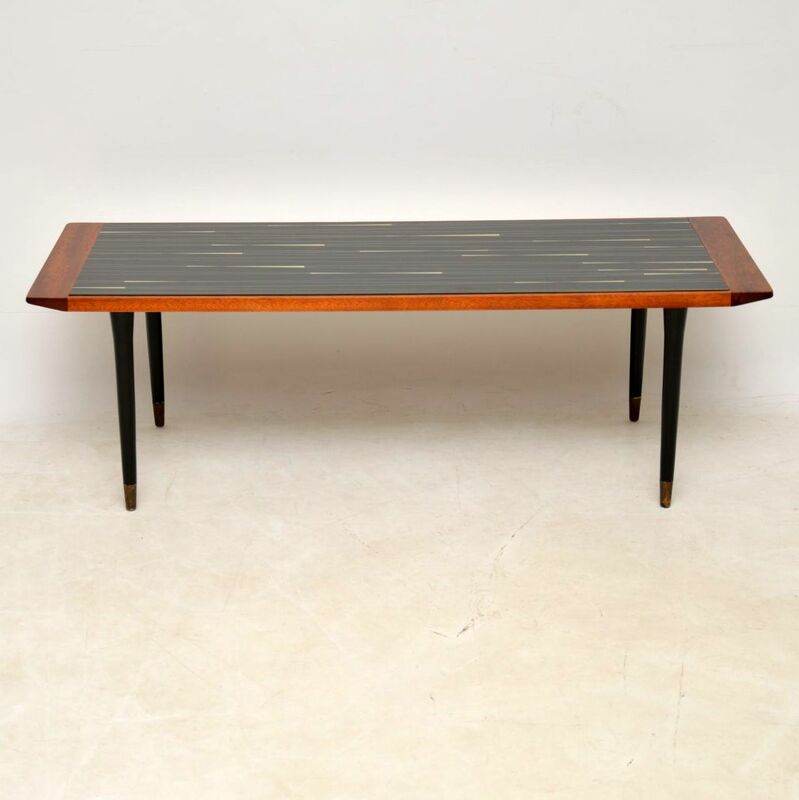 A stylish and very well made vintage coffee table from the 1960’s, this has been fully restored and is in superb condition. 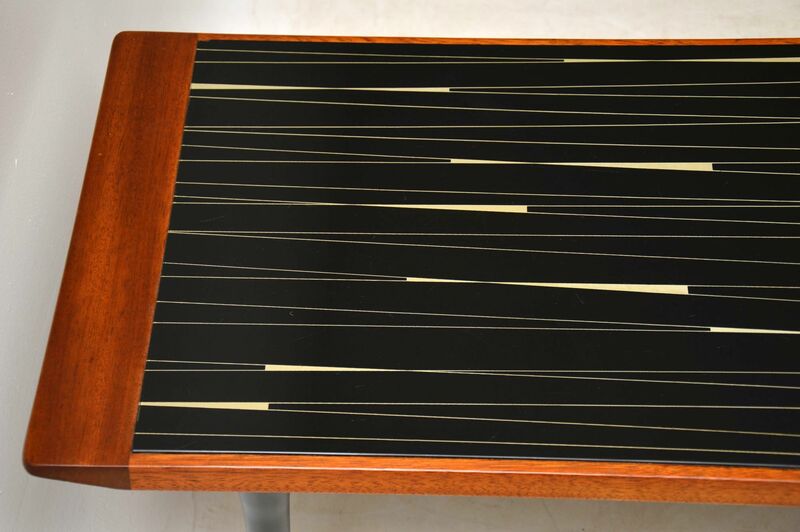 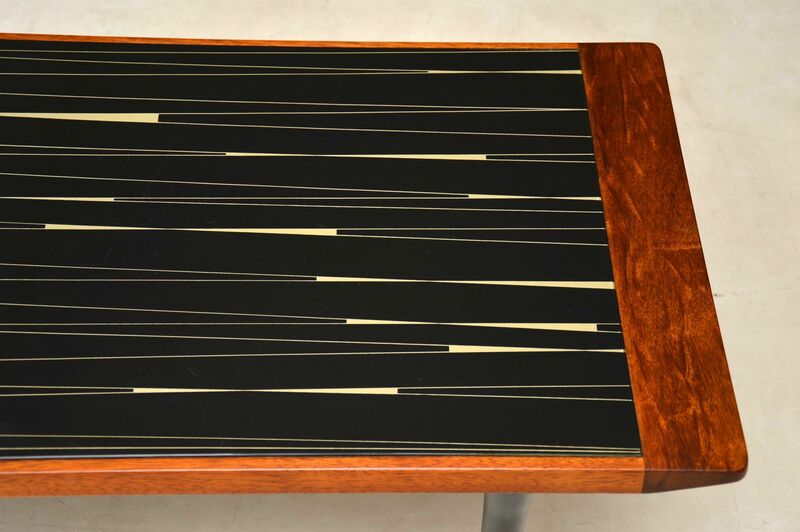 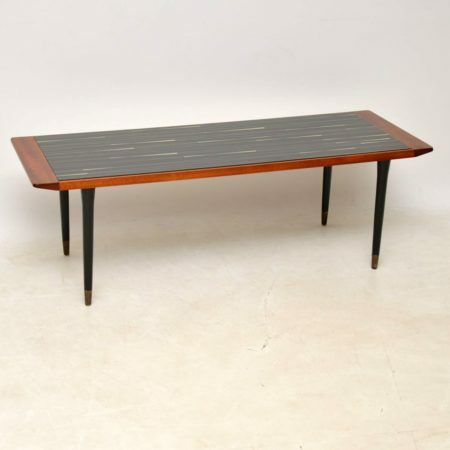 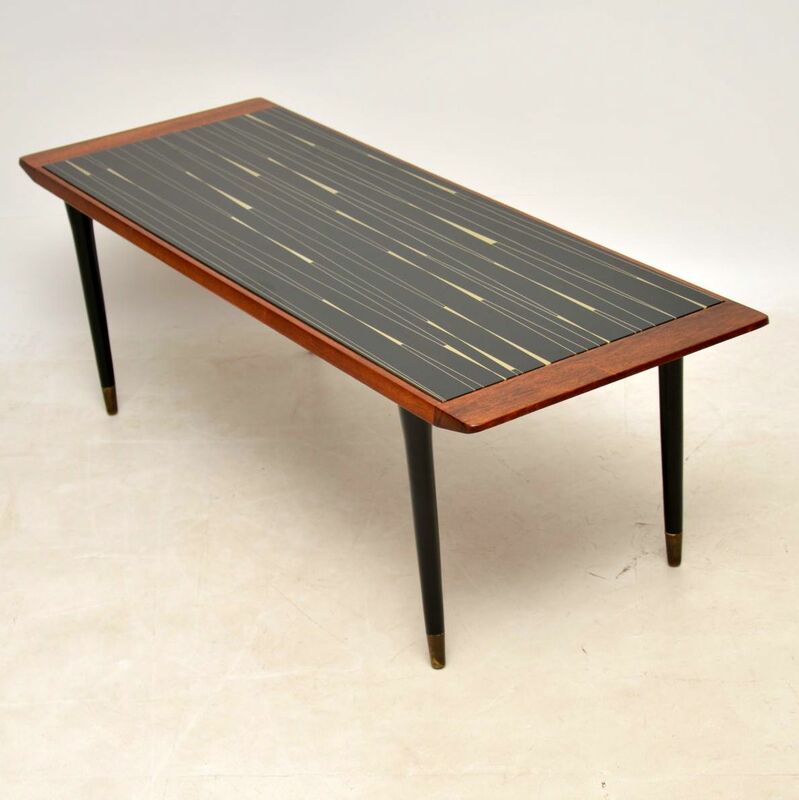 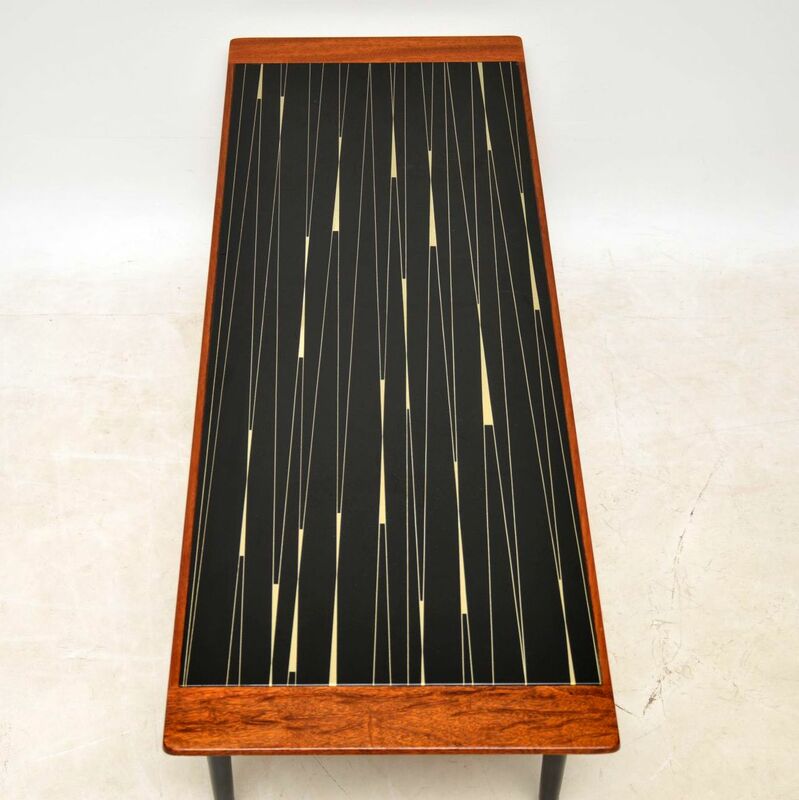 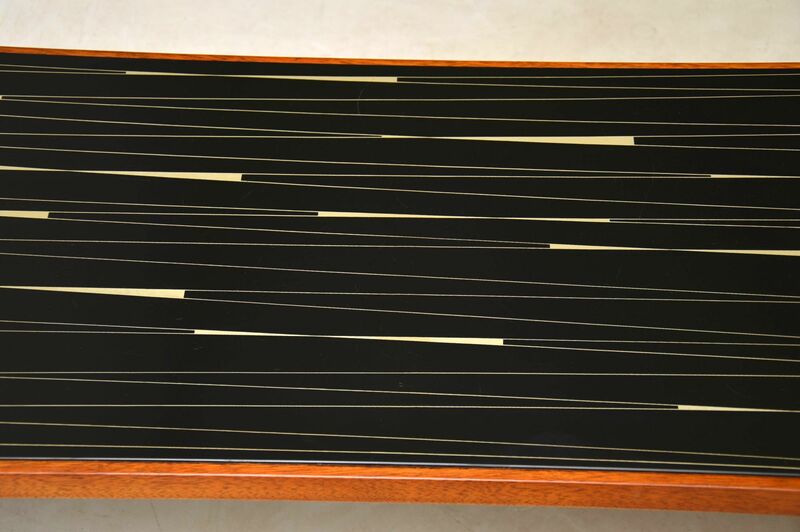 The frame is teak and ebonised wood, with an inset black top decorated with typical mid-century designs. 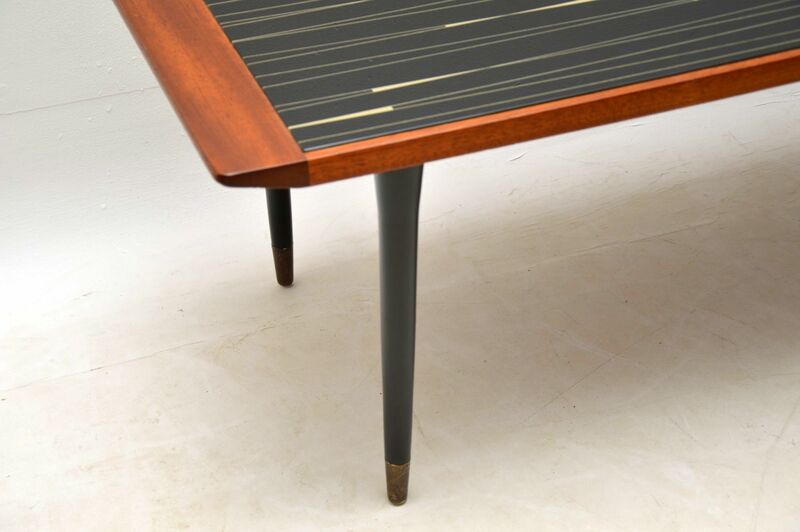 The ebonised legs are brass capped, they unscrew and detach for ease of transport.